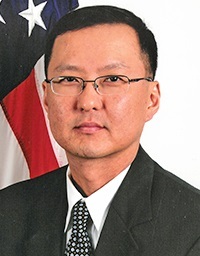 Special Agent Wesley Yoo died as the result of cancer he developed from being exposed to hazardous materials during recovery efforts at the Pentagon following the 9/11 Terrorist Attacks. Special Agent Yoo had served with the FBI for 15 years. He is survived by his wife and two children. Thank you for your service to our country. My deepest sympathy to your family. You will always be remembered for your service and sacrifice to our country. Rest in everlasting peace.